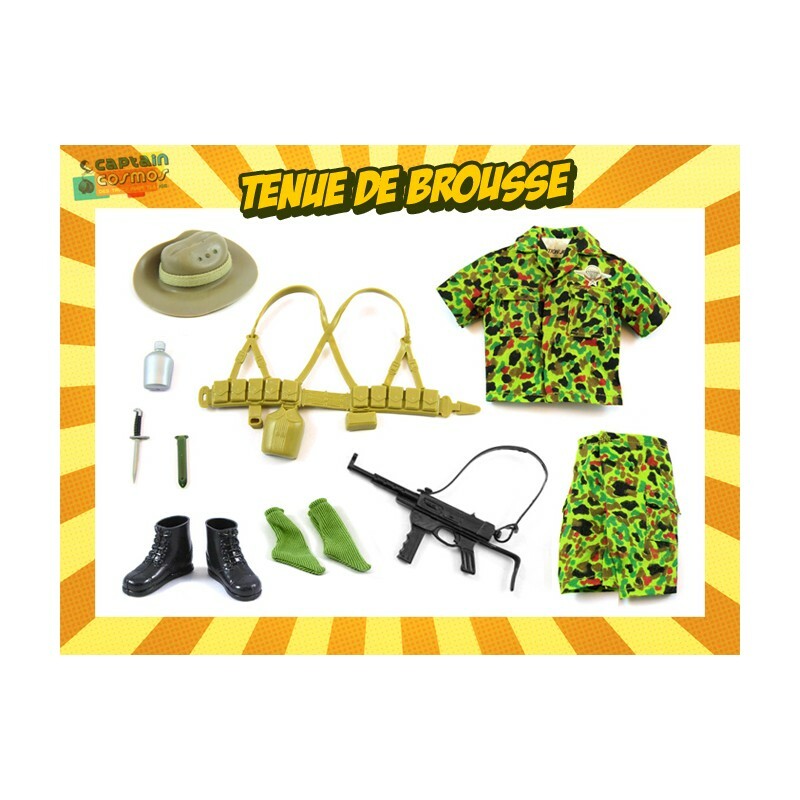 Green Beret bush outfit by Captain Cosmos (Légionnaire Parachutiste). You can choose to order the outfit with or without figure (details below). You can choose to order the outfit alone, or with a Geyperman figure or an Elite Brigade figure. Grey bearded head in both cases.